Halloween is an increasingly popular celebration in the UK, and it’s easy to see why. 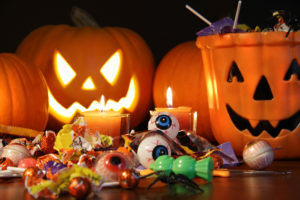 The 31st of October is filled with fun costumes, spooky events, and every child’s favourite activity: trick or treating. 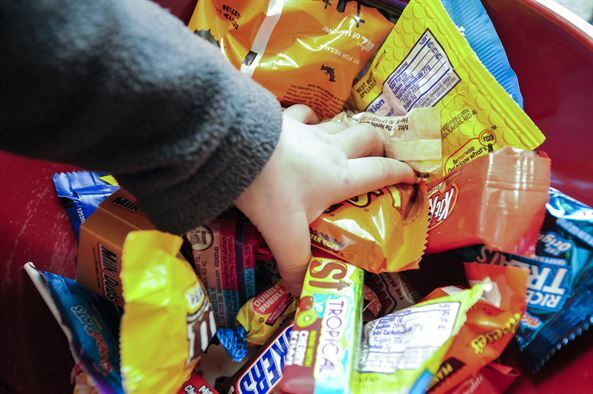 Trick or treating has been a feature of Halloween for many years, with the nation’s kids going door to door and receiving bucketsful of sweets and chocolate from neighbours. Often, they will end up with a huge bounty of goodies that may taste delicious but are unhealthy and bad for teeth. However, it is possible to enjoy Halloween without causing lasting damage to teeth; just read Brite Dental’s handy guide. Sweets and chocolate are some of the main causes of tooth decay and poor oral health in children. Sugar in these treats can affect the bacteria in our mouths. We have both healthy and harmful bacteria, and some of these harmful bacteria feed on sugar to form acids. In turn, these acids destroy the tooth enamel which protects the inside of the tooth, leading to tooth decay. Some of the worst sweets for your teeth include chewy sweets, as their sticky texture will stay on the surface of the tooth for longer, and sour sweets, as they contain additional acids. What problems does tooth decay cause? Tooth decay can cause a variety of problems, from pain all the way through to the loss of a tooth. There are many symptoms of tooth decay, from sensitivity and toothache through to black or brown spots on the tooth and bad breath. If tooth decay is caught very early, dietary changes and fluoride gels may help. After that, a filling may be needed. For severe cases, a root canal treatment may be performed, or even an extraction of the whole tooth if it is too damaged to be saved. Here at Brite Dental, we have lots of advice to help keep fillings at bay, even during the Halloween festivities. The main way is to make sure teeth are brushed twice a day with a toothpaste that contains fluoride. Flossing every day is a necessity, and after eating sticky, sweet food, make sure to rinse with water to remove some of the debris from the surface of the tooth. It can also help to eat sugary foods at mealtimes. In terms of alternatives, there are lots of ways to avoid large amounts of sugar. It’s easy to make your own Halloween treats with reduced sugar, such as chocolates with artificial sweetener. There are also plenty of sweets for sale in supermarkets that use sweeteners instead of sugar. You can also substitute refined sugar from natural sugars from fruit and honey; honey can still be bad for teeth, but it contains more complex sugars so takes longer for your body to break down. This means you have more time before the bacteria begin multiplying in your mouth. If you are worried you or your children may have overindulged this Halloween or you simply want to book in for a thorough check up, drop us a line at your local Brite Dental branch today. Why is it important to see your dentist? 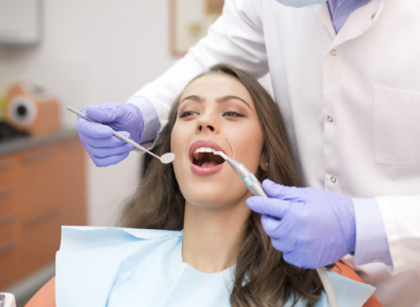 Regular dental check-ups are vital for maintaining the best oral health. Your smile is one of the first things anyone notices, and keeping it healthy and beautiful is important. Small aches and pains may not appear serious, but with time they can progress, leading to serious problems such as tooth decay and gum disease. So, when you notice something wrong with your teeth or gums, make sure to book an appointment at the Brite group as soon as possible. Another reason to see your dentist may be more psychological than physical. The appearance of your teeth, such as their colour or if they are uneven or crooked, may make you feel unhappy with how you look. The Brite team is on-hand to offer a range of cosmetic treatments that can help you to feel confident again. These include teeth whitening, dental implants, invisible braces and many more. Even if you don’t have any current issues, regular check-ups are still really important. If you visit as much as your dentist thinks is necessary (this can vary from person to person, depending on your oral health) they can spot any potential problems early on, and can offer treatment to stop tooth decay or gum disease from progressing. What could happen if you don’t see your dentist? Tooth decay and gum disease can lead to serious issues if not treated. Without help from a dentist, these conditions will progress and worsen over time, until teeth become weak and loose. They may also cause you severe pain which can be eased with a dental visit. Acute conditions such as infections also need immediate treatment in order to keep your mouth in the best condition. Dental hygiene is important for staying in good health. If you think you may have a cavity or a loose tooth filling, but you’re nervous about going to the dentist, don’t panic! Brite Dental has a friendly, qualified team that will help you to relax and make it through your appointment in a pain-free, calming environment. The Brite team will take time to evaluate your needs and will take into consideration the bigger picture, addressing any worries before treatment starts. Our experienced team will then put together an individualised treatment plan. So contact us today to book your next appointment. As you get older you begin to realise how important your oral health is and often wish that you had taken better care of your teeth when you were younger. That is why it is important for you to be aware of how to provide your children with good dental care. Just because you can’t see them doesn’t mean they aren’t there! 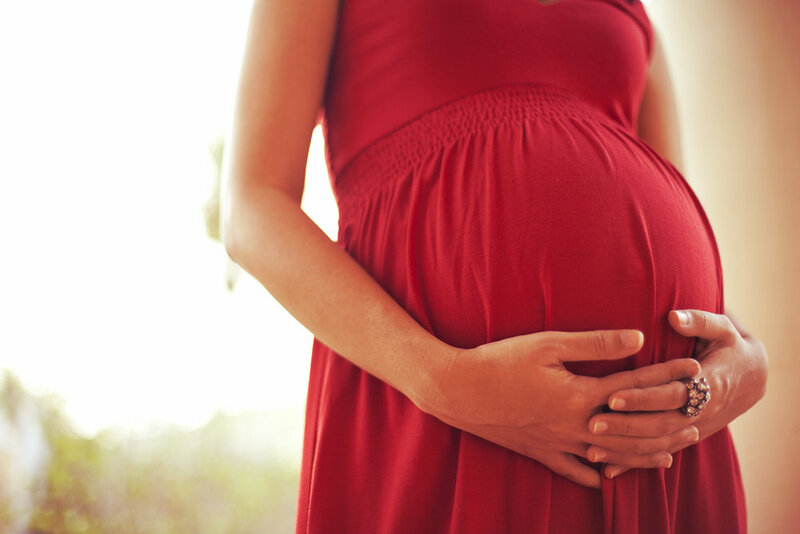 Many people are unaware that teeth are fully developed in your baby’s jaw at birth, which is why your focus should be on your baby’s gums for the first 6 months. You can look after your baby’s gums by using a clean, lukewarm washcloth to wipe bacteria off the gums a few times a day. 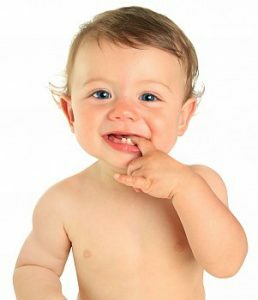 When your baby’s first little teeth begin to appear, use a soft- bristled toothbrush and water to clean your baby’s teeth. By the time your child turns 2, you should begin teaching them how to spit after brushing to avoid them swallowing any plaque and to prepare them for spitting out their toothpaste. 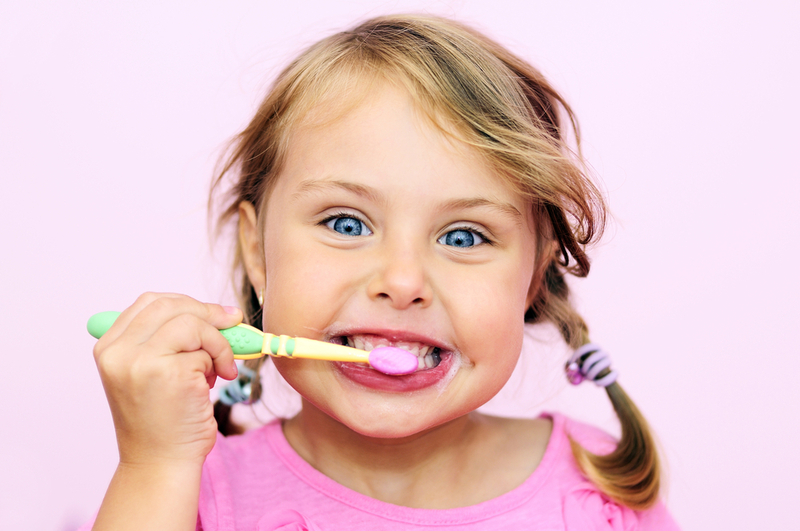 Ask your dentist when to introduce toothpaste to your child, this is normally when they are around two years old. You should use a pea sized amount of toothpaste that is low in fluoride. Having regular dental check-ups will not only help identify any problems early but will also prevent the fear associated with dental visits. You can also help your infants learn that the dentist is not a figure to be afraid of by reading them child friendly dental books as this will give them a more positive view of going to the dentist. Parents can play a vital role in encouraging their child’s overall oral health. When your child turns 3, you should teach them proper brushing techniques, we have all seen both children and adults vigorously brushing their teeth as quickly as they can. This is not a constructive method of brushing and can often lead to more damage than good. The toothbrush should be moved in a back- and- forth motion with short strokes along the teeth and gums. It is important to teach your child the correct brushing technique so that they can protect their gums and target the most bacteria as possible. Whilst brushing for 2 minutes is the recommended amount, this is not realistic for young children, so put emphasis on this to prolong the brushing process as much as possible. 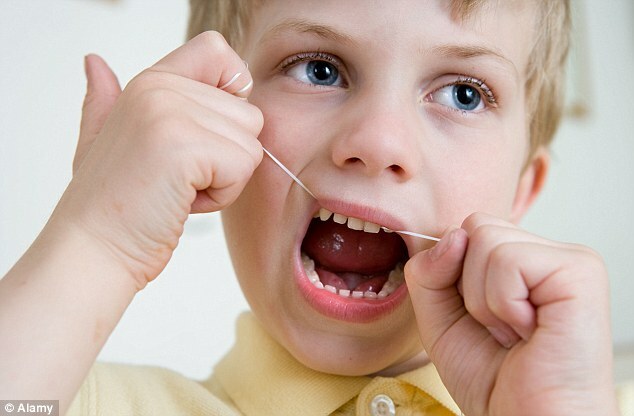 Flossing is one of the most neglected components of oral hygiene, despite it being one of the most important. To set a good example for your child, you should adopt flossing in to your daily routine as this will prepare them for when their tooth surfaces are next to each other and they can start flossing themselves. Flossing should be adopted as a consistent dental care routine as using dental floss removes plaque and excess food particles that you may not be able to target with just your toothbrush. Providing your children with good oral care will kick them off to a good start and increase their likeliness to establish the best dental habits. Thus, keeping them as healthy and happy as possible. At Brite Dental, we are part of the Childsmile programme, so register your little ones today! Today is World Oral Health Day and Brite Dental have put together some useful tips to help you maintain good oral health. It is recommended that you brush your teeth at least two times a day. Ideally do this first thing in the morning to eliminate bad breath, and then brush at night time before bed. This is particularly important as you produce less saliva during the night, leaving the mouth more at risk from decay. To ensure you do a thorough clean and remove plaque, you should brush your teeth for two minutes, twice a day. Make sure not to brush your teeth right after consuming sugary or acidic foods as sugar and acids weaken the enamel on your teeth, therefore brushing straight after can cause tiny particles of enamel to be brushed away. So, it is best to brush your teeth at least one hour after eating. What Oral Care Products Should I be Using? Every one’s mouth is different, at Brite Dental our care team can recommend the best toothbrush and toothpaste for you to use, as well as the best way to target the tricky areas between your teeth. Dental floss is an essential product that can help do just that. Flossing should be done once a day as it helps rid food particles that get trapped between your teeth. We also recommend that you use a fluoride toothpaste as fluoride can help your dental hygiene by strengthening the tooth enamel, making it more resistant to tooth decay. What products can I use to prevent bad breath? The most important way of controlling bad breath is with good brushing and flossing. 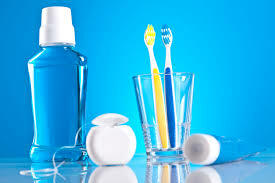 Sugar free chewing gum and rinsing with antibacterial mouthwash can also help eliminate bad breath. Chewing sugarless gum will not only keep your breath smelling fresh but it also promotes the production of salvia which acts as a natural defence against acid. However, long term bad breath could be a potential symptom of a dental problem such as gum disease, so if you are concerned about this, you should ask the Brite Dental team for advice. 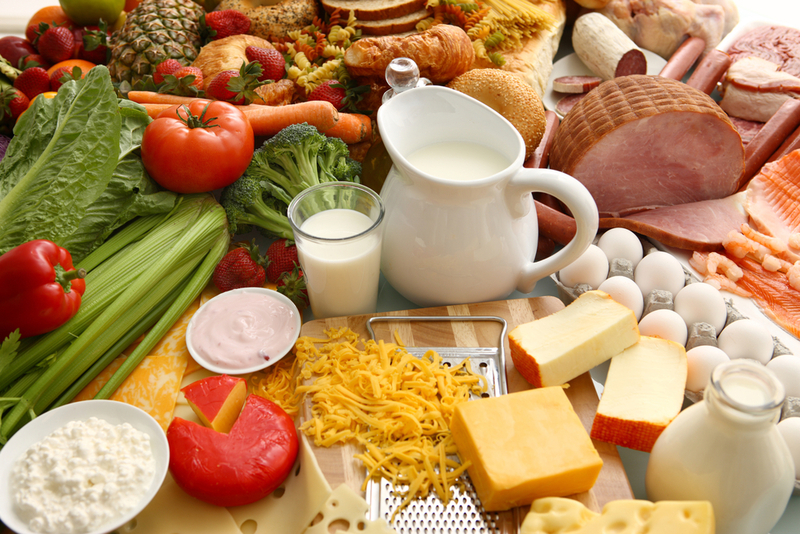 Diet can have a big impact on your oral health, there is no escaping the damage a poor diet can have on your teeth. Cutting down on sugary or acidic foods or drinks will decrease your chances of tooth decay and discolouration. Our dentists are committed to the health and longevity of your teeth. We encourage you to pay close attention to your oral health and practice excellent maintenance habits to prevent future problems and address any existing damage. Get in touch today with your local Brite practice and our professional team will take good care of you and help you maintain optimal oral hygiene. Cavities are the most common problems dentists see. Left untreated they lead to tooth decay, gum disease or even health problems. At Brite Dental, we care that you have healthy teeth and a healthy smile so we’ve put together a few tips about cavities and how to avoid or treat them. What is a tooth cavity? Tooth cavities simply mean holes in teeth. Our mouths are full of harmless bacteria but sometimes these attach themselves to the hard enamel surfaces of teeth and multiply rapidly. Once mixed with proteins in saliva, bacteria become the whitish plaque that we see around our teeth. If this isn’t removed the acid in it causes tooth decay, tooth cavities and gum disease as it dissolves your tooth enamel. Once tooth cavities have allowed bacteria access to the dentin inside your tooth, pain sets in and you will need a tooth filling to prevent further tooth decay or gum disease. 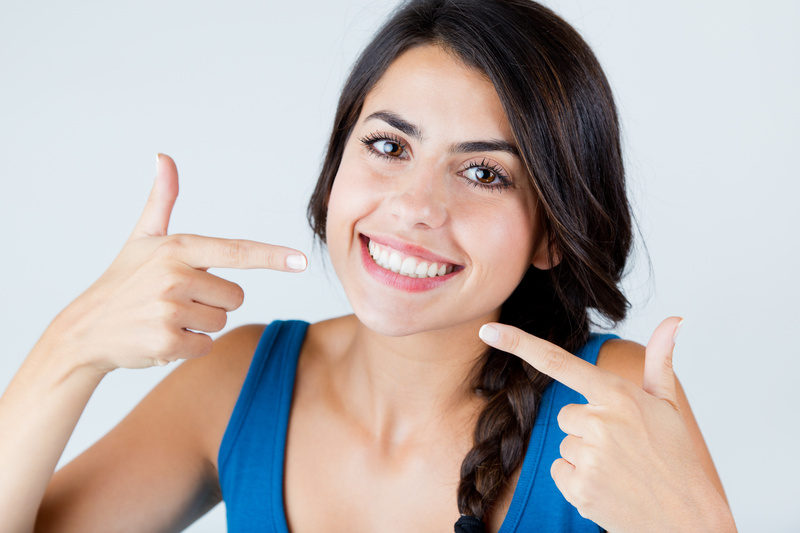 How can I avoid tooth cavities and gum disease? Gentle, but thorough brushing of your teeth and gums twice a day is your first line of defence against developing a tooth cavity or gum disease. Use gentle back and forth movements, remembering to brush your tongue as well. Daily flossing adds an extra level of defence against developing a cavity, letting you remove food particles your toothbrush couldn’t reach. Finish your dental routine with an antibacterial mouthwash. Designed to fight bacteria they also leave you with fresh smelling breath. Limiting your intake of sweet food and drink is also very important as sugars react with the bacteria in plaque producing the harmful acids that lead to tooth cavities. If you do indulge in a treat remember to brush afterwards. Finally, regular check-ups at Brite dental enable our team to deal with small problems before you need a tooth filling or suffer more serious damage to your teeth and gums. How does the Brite Group treat cavities? There are four main stages to cavity treatment with the aim of dealing with it before further tooth decay and gum disease sets in. When a cavity first appears we offer advice on diet and a fluoride covering may be applied to the area. A tooth filling may be needed to remove the decay and the cavity left behind filled with a safe substance. Don’t worry, a tooth filling is always carried out under local anaesthetic. If your tooth cavities have spread into the pulp or centre of the tooth then this may need to be removed. This root canal treatment prevents further tooth decay and the risk of gum disease. If the damage is too severe for a tooth filling, then teeth may need to be removed. Our Brite team will advise on this and how missing teeth can be replaced with partial dentures, bridges or implants. Remember regular check-ups at Brite Dental will ensure we get to problems before the pain starts, a tooth filling is needed or gum disease sets in. So what are you waiting for? Contact your local Brite Dental today and we can help you look after your smile. To help maintain a healthy mouth, Brite Dental have made a daily checklist with some handy tips. Brushing your teeth twice a day, in the morning and before you go to bed, is absolutely vital for keeping them healthy. Not only does brushing eliminate food particles and plaque from the mouth, but it prevents gum disease, tooth decay and bad breath. The recommended time of 2 minutes helps ensure that you are not rushing through the process and that all the teeth are clean. 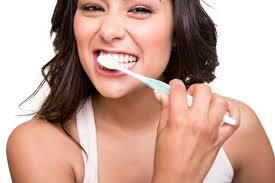 Always use gentle back and forth motion across your teeth and gum line when brushing. After consuming acidic or sugary foods you should wait at least 30 minutes before brushing your teeth as this allows enough time for your saliva to neutralise the food acids. Theses acids are found in most foods and can be harmful to your tooth enamel as the acid contained in the food temporarily softens the enamel as these foods interact with the plaque in the mouth. Brushing directly after the consumption of such foods will cause further damage to the teeth surface. Don’t neglect your tongue! brushing your tongue helps remove plaque and bacteria that sticks to the surface which in turn can help fight bad breath. Many people forget this one! Flossing your teeth makes all the difference, it helps get rid of food particles that get stuck between your teeth that you cannot reach when brushing. It plays an important role in helping maintain good oral hygiene and preventing gum disease. 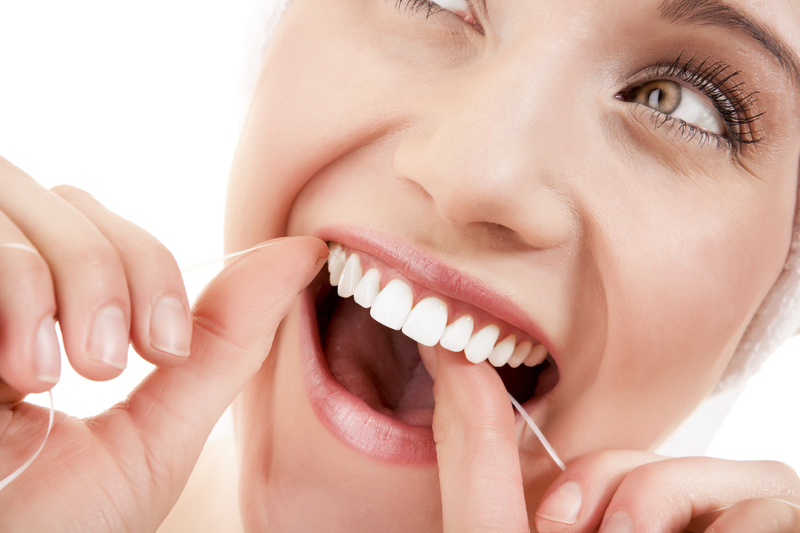 Care must be taken when flossing to avoid irritating your gums which can often result in bleeding. Just ask at your local Brite, we would be more than happy to demonstrate how you can floss effectively. Rinsing your mouth with antibacterial mouthwash after brushing is strongly recommended. Not only does it help remove plague and refresh your breath but can also help prevent tooth decay and gum disease. Brushing your teeth after every meal is not very practical, plus over brushing can damage your enamel. So we advise chewing sugarless gum after eating. This will help to keep your breath smelling fresh but chewing also encourages the production of saliva which acts as a natural defence against acid. This also washes away food particles, helping to keep your teeth clean. We all enjoy indulging in sugary snacks every now and again, however consuming these too often can affect the whiteness of your smile and the freshness of your breath. What’s more of a concern is a poor diet can also lead to tooth decay and gum disease. This is due to the sugar reacting to bacteria in the plaque (the sticky layer on your teeth) and producing harmful acids. These acids then attack the teeth and destroy the enamel which can result in a cavity or hole forming. Incorporating these things into your daily routine will help you maintain a healthy smile. You should also remember to replace your toothbrush regularly. This should be done every 3 to 4 months or when the bristles start to look worn. Don’t forget to visit your dentist regularly; frequent check-ups are essential, so why not contact us and book your next appointment at Brite Dental? What Else Could Your Bad Breath Mean? Halitosis, commonly known as bad breath, can be an embarrassing problem. But did you know that bad breath can also be a sign of other health problems? Bad breath has a number of causes, the most common being poor oral and dental hygiene. If you have a poor dental routine then bacteria will build up in your mouth which can result in plaque, tooth decay and gum disease. Brushing your teeth, flossing and cleaning your tongue will help you to remove these bacteria. Bad breath may also be caused by your habits. Smoking and consuming strongly flavoured foods and drinks such as garlic, alcohol and coffee may cause bad breath. This type of bad breath is generally temporary and can be remedied with good dental care and regularly visiting your dentist. You may also experience bad breath as a result of crash dieting. Dramatically altering the foods you consume, either by through a low-carbohydrate diet or fasting causes your body to break down fat, producing chemicals called ketones which smell. What are the Health Problems Associated with Bad Breath? Bad breath is an embarrassing problem to have but did you know that it could also be a sign of other health issues? Halitosis has been found to be a sign of a number of health problems including: stomach cancer, lung cancer, kidney failure, diabetes and gum disease. Your mouth is a gateway to the rest of your body and any problems you are experiencing there may be an indication of a more serious problem. If you have noticed any change in your oral health you should make an appointment to visit your dentist who will be able to advise you. What Can You Do To Prevent Bad Breath? Visit your dentist regularly. Not only will they be able to determine the cause of your bad breath but they will also be able to provide tips and techniques to help. Practice good dental hygiene including brushing your teeth twice a day and flossing. This will help you to remove bacteria in your mouth. Drink water and chew on (sugarless) gum. Eat snacks with a high water content such as cucumber, celery and carrots. Drink water. Dry mouth (xerostomia) has an effect on the flow of saliva into your mouth which can cause a build-up of bacteria, leading to bad breath. By drinking water you can help to keep your mouth moist and prevent bad breath. Dental Care at Brite Dental? If you are concerned about your dental health the contact the Brite Dental team. Our clinical care team is here to look after you and your dental health needs. 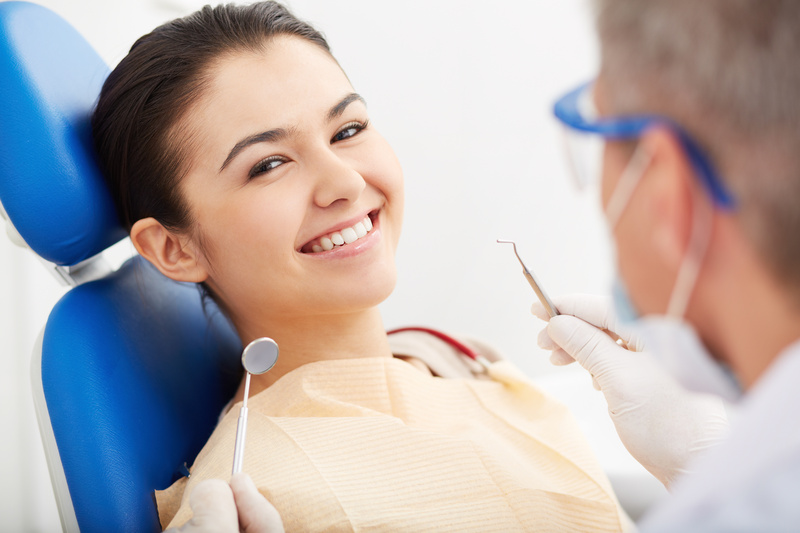 We have practices in four locations and offer both NHS and cosmetic dentistry treatments. 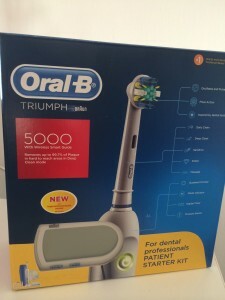 Win an electric toothbrush for Christmas worth £169! Would you like to win an electric toothbrush for Christmas? If you have all of your Christmas presents sorted it’s time to relax and unwind. Grab a cup of tea, put your feet up and think what would YOU like for Christmas? A new car, iPhone, tablet…. What about an electric toothbrush? It can greatly improve your oral health and make your teeth beautiful and white. Wouldn’t it be a fabulous Christmas gift for yourself? We would like to invite you to participate in our social media competition on Facebook and win an electric Oral B toothbrush! It’s very easy! Simply like Brite Dental page on Facebook and wish us a ‘Merry Christmas’ under the competition picture. This prize will help you to keep your smile bright and healthy all year round! The winner will be announced on the Christmas Eve, 24th of December. Good luck! Regular teeth brushing, flossing and tongue cleaning helps to keep your mouth clean and teeth healthy. In addition, it helps to improve the condition of your oral health and prevent your smile form gum disease and tooth decay. Did you know that gum disease is one of the most common reasons of tooth loss in adults? How to Improve Your Daily Oral Health? If you would like to have beautiful and healthy teeth throughout your life we would recommend visiting your dentist every 6 months for a check-up and having your teeth scaled and polished by a professional dental hygienist. Other things that may help you keep your smile healthy is reducing the consumption of sugary, salty and acidy foods and drinks. Improving your diet and keeping sugary treats only for meal times can vastly improve your oral health. How to look after your teeth correctly? It is vital to get into a regular habit of cleaning your teeth. We recommend brushing your teeth twice a day for 2 minutes. What toothpaste should you use? You don’t need to buy expensive toothpaste to make your teeth healthy. All you need is to make sure that your toothpaste has fluoride in it. In order to prevent teeth from erosion brush them either before or an hour after eating or drinking acidy drinks such as juice or wine. Don’t forget to change your toothbrush every 3 to 4 months and visit Brite Dental for dental check-ups! Book your dental appointment and keep smiling! You are currently browsing the archives for the Dental Hygiene category.